The Stop Online Piracy Act helps stop the flow of revenue to rogue websites and ensures that the profits from American innovations go to American innovators. The bill prevents online thieves from selling counterfeit goods in the U.S., expands international protections for intellectual property, and protects American consumers from dangerous counterfeit products. In order to explain why SOPA is unlikely to stop piracy, I want to first give a brief explanation of how DNS (SOPA’s primary censoring method) works. All computers have what is called an IP address, which is a number representing that computer on the internet. Since every website on the internet is hosted on a computer, every website also has an IP address. This is a very convenient way to direct requests to websites if you’re a computer, but if you’re a human you are not likely to be able to remember more than a handful of IP addresses at a time. DNS is the solution to this problem. DNS stores a directory of domain names (such as www.newegg.com) as well as their corresponding IP address (216.52.208.187). As you can see, both the IP address and http://www.newegg.com will load the same page. This is important because removing a website from DNS does not prevent anyone who is moderately technical from viewing a website. In order to prevent someone with reasonable technical ability from accessing websites, the government would have to start actively monitoring all data which makes it’s way across the internet in real-time. Not only would this be prohibitively expensive, it would be a massive breach of privacy for everyone on the internet (imagine someone from the government reading some of the more *ahem* exciting emails you have exchanged with your significant other). While this huge invasion of privacy would limit what normal people are willing to share over the internet, the most tech savvy of us would know how to make use of encrypted connections and proxy servers to bypass all restrictions the government tried to place. Every time a company or government has found a way to keep hackers from accessing something, the hackers have found ways to bypass those security measures; a great example of this is Gary McKinnon, the Scottish hacker who penetrated the security measures of multiple US Government agencies looking for evidence that the US covered up contact with Extra Terrestrial Life. It is well known that the 50+ generation of Americans is largely ignorant to the inner workings of the internet and computers in general. While there are individuals from that generation who were the innovators who designed the internet, there are far more individuals who require a call to the kids to post a photo to Facebook. With that said, the last person you want to make major decisions about an industry is someone who is entirely unfamiliar with that industry. Most of us remember several years back when Senator Ted Stevens referred to the internet as A Series of Tubes. If you haven’t listened to his speech recently, take a minute to do so now. I’ll wait. Throughout all of the stammering in that video, the only recognizable words describe something similar to Netflix, and a series of tubes. Also, it seems like he may have mentioned using the internet for the first time that day. There are no requirements in Congress for knowing what you are talking about before you can vote on a bill. Ted Stevens was given the ability to vote against Net Neutrality not long after that speech. Think about that. Also think about the fact that according to www.senate.gov (PDF) the average age of members of the 112th was 62.2 years. It should by now be clear that SOPA has almost no chance of successfully completing it’s goal, but it does have a great chance of accomplishing a much more harmful goal: ruining the internet. Many would agree that the strength of the internet is that people of all walks of life can share information about the things they understand, and find information about things they don’t. Sites like WordPress, Stack Overflow, and Wikipedia provide a great deal of knowledge to people all over the world every day. But sites like these are in danger of being taken down because of a clause in SOPA which makes domain owners responsible for content posted by their users. In short, if I posted copyrighted material on my blog in a world where SOPA was law, the entire domain wordpress.com could be taken down. As I write this article, wordpress.com is home to roughly 35,247,329 blogs. And they could all be taken down due to the indiscretion of one blogger. The same could be true of Facebook or any number of other sites you use on a daily basis. 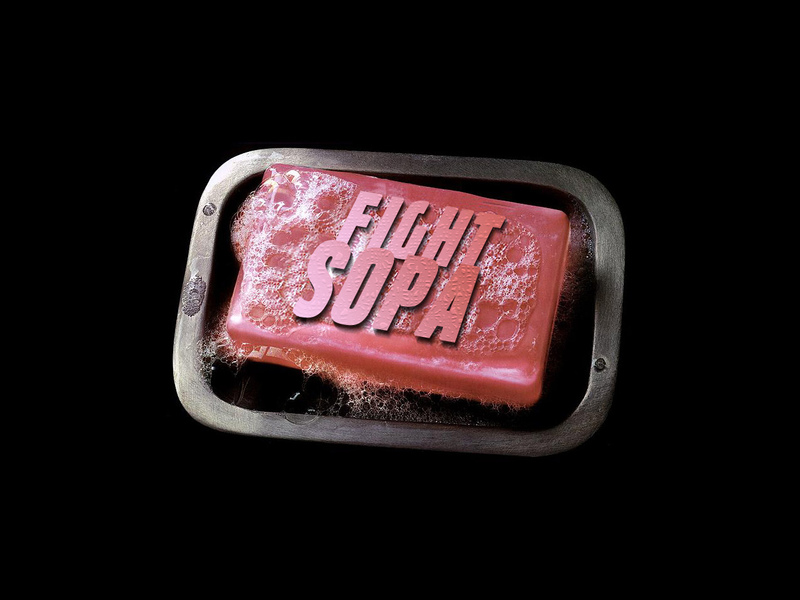 SOPA is dangerous, and if it manages to pass the internet will change forever. Not in a good way. Call your local Representatives and tell them to oppose SOPA!